The city of Ruston is a great university town. There are plenty of tasty restaurants to visit, coffee houses for studying or simply hanging out with friends, and some of the best outdoor parks in the area. In the city of Ruston, students will experience the quiet and intimate setting of a small town, making it better to focus on education, but also the fun and excitement of a city. Also, Ruston is located in between two larger cities within a short driving distance, giving ample opportunities for weekend fun. In addition, according to the National Council for Home Safety and Security, Ruston has been rated as the number one safest college town in the state of Louisiana. For years, the community of Ruston has been strong supporters of Louisiana Tech University; we are all like one big family. 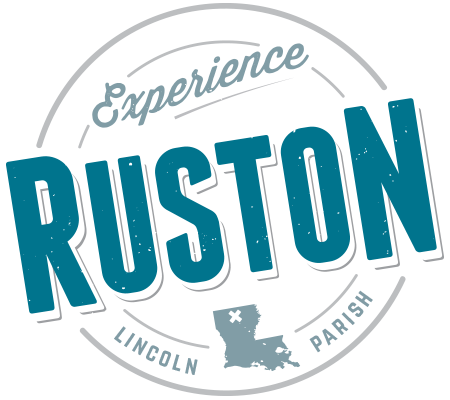 For more information on Ruston and Lincoln Parish, follow the Convention Visitors Bureau, on Twitter: https://twitter.com/rustoncvb, Instagram: https://www.instagram.com/rustoncvb or their website at rustonlincoln.com!